The days are getting longer and the weather is getting warmer, and that can mean even more time spent outdoors. Wouldn’t it be great if you could find a way to sneak in some learning and beat the heat? I think so too! So I’m excited to share this simple craft that can accomplish both of those objectives. Sponge bombs! They are reusable, more practical than water balloons, and just as much fun. You can watch Inner Child Fun’s tutorial below and learn how to make your very own sponge bombs. It’s such a simple craft with a huge play value! Are you having trouble viewing this video? You can also watch it on YouTube. The play and learning possibilities are as limitless as your imagination. I’m sure your kids will have their own ideas on how to play, but that doesn’t mean you can’t have a few tricks up your sleeve. 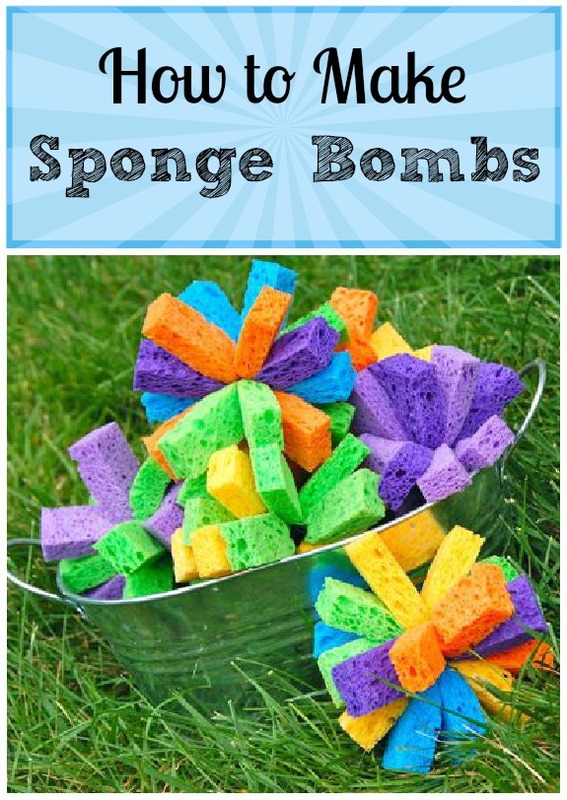 For a simple and fun way to sneak in some counting practice, you can play a sponge bomb bucket toss game. What are some other ways you could slip in a bit of learning fun? Be sure to subscribe to the Inner Child Fun YouTube Channel for even more inspiring play ideas and crafts!